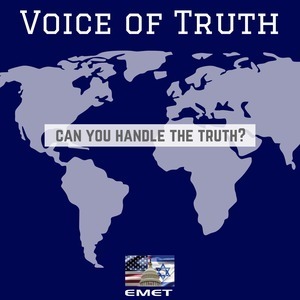 President Trump has made a number of foreign policy decisions in the Middle East that have benefited Israel, from consistent verbal support to the monumental embassy move to Jerusalem. However, Trump made another decision earlier this year that flew under the radar, at least compared to the coverage of other aspects of his administration: drastically cutting American funding for the United Nations Relief and Works Agency (UNRWA) from $360 million to $60 million. Trump has been met with some criticism for this. Critics have accused the move as harmful to Palestinians who rely on UNRWA for humanitarian aid in the form of food, water, education, and healthcare. Others worry about the instability that this will cause in the region. However, these criticisms ignore why cutting funding was the right call: rather than aiding Palestinians and working to end the refugee crisis, UNRWA perpetrates the Israeli-Palestinian conflict by inflating refugee numbers, providing false hope for return, and disseminating anti-Semitic and anti-Israel sentiments that hurt the peace process. Especially when compared to the UN High Commission for Refugees (UNHCR), UNRWA is a bastion of inefficiency and needs to be dissolved. There are several problems with UNRWA that serve as legitimate reasons for slashing its funds. One issue is that they exacerbate the refugee crisis by artificially inflating the number of refugees. UNRWA defines Palestinian refugees as, “persons whose normal place of residence was Palestine during the period 1 June 1946 to 15 May 1948, and who lost both home and means of livelihood as a result of the 1948 conflict.” However, the definition was expanded to also include the descendants of Palestinians displaced in 1948. No other group in the world has refugee status passed down from generation to generation. Additionally, UNHCR defines refugees as people who were forced to leave their country, usually from fear of being killed if they return. This already differs from UNRWA’s definition, which applies to any Palestinian who was displaced during the 1948 war. However, the most crucial difference is in the goals of the two organizations. UNHCR works to find a safe home for refugees, which usually involves resettling them in other countries willing to grant them asylum. This makes sense, as it gives refugees a safe place as swiftly as possible. UNRWA, on the other hand, believes in the right of return for its refugees. They hold that as long as Palestinians do not live in Israel, they are considered refugees, regardless of wealth or status. This means that someone could be completely settled in another country, have citizenship to said country, and still be a refugee. In fact, there are almost 2 million Jordanian citizens with refugee status. This is dangerous on several levels. For starters, it exaggerates the problem by inflating the number of refugees. After the 1948 war, there were approximately 650,000 refugees. That number has since increased to 5 million due to UNRWA’s definition of a refugee. However, the problem goes deeper than that. By perpetrating the idea of the right of return, UNRWA refuses to provide a permanent solution for those still living as refugees. Instead of spending money on integrating them into Jordan and other countries, they pay for refugee camps that keep Palestinians oppressed, with nothing but the false hope that they will one day return to a land their ancestors left. Additionally, UNRWA’s functions are outdated and unnecessary. There may have been a use for refugee services in 1950, even if UNHCR would have been more efficient. However, since then, the Palestinian Authority (PA) was formed. For all the flaws and corruption in the PA, (and there is plenty of both) they should be held responsible for the services UNRWA provides. As I mentioned above, UNRWA provides food, water, education, and healthcare. Last I checked, these are things a government should be providing for its people. How are a people supposed to advance while relying on refugee aid? If we want a partner for a lasting peace process, our partners need to take more responsibility, and being responsible for the well-being of a nation without the safety net of a UN organization might motivate them to actually compromise. Just to be clear, I do not support the PA, especially in its current form. I am simply saying that long-term, the services provided by the UN should already be provided for by the PA, making UNRWA obsolete. All of this shows that UNRWA’s goals are counterproductive even if they weren’t corrupt. However, UNRWA has been plagued with scandals in the last few years. In 2016, a review of Palestinian textbooks in UNRWA-funded schools showed extreme anti-Israel bias. They were paying for textbooks that indoctrinated children into hating Israel, making it even more difficult to make peace. Additionally, UNRWA has had numerous ties to Hamas, the terrorist organization that operates out of Gaza. 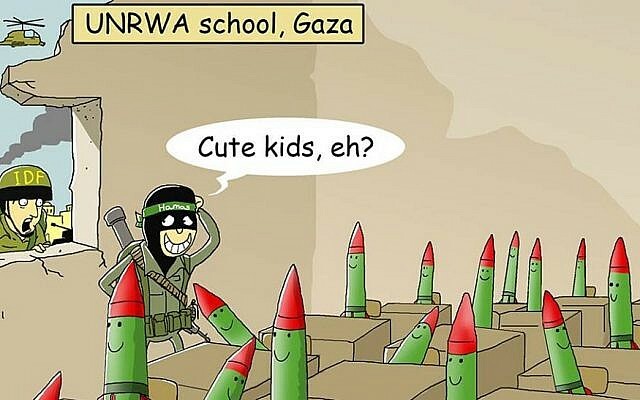 On multiple occasions, Hamas rockets have been found in UNRWA schools. An UNRWA employee, Suhail al-Hindi, who served as chairman of the UNRWA staff union in the Gaza Strip and principal of an UNRWA boys’ elementary school, was also working for Hamas at the same time. Maybe at one time, the UN needed to step in to help Palestinian refugees. However, even then, UNHCR should have stepped in instead of UNRWA, which has exacerbated the problem by inflating the number of refugees and providing services that should be the PA’s jurisdiction. Its ties to Hamas should have been a major red flag long ago, and its indoctrination of Palestinian kids in schools is ruining the generation’s willingness to make peace as well. UNRWA is corrupt, inefficient, and outdated, and America made the right call in defunding it.